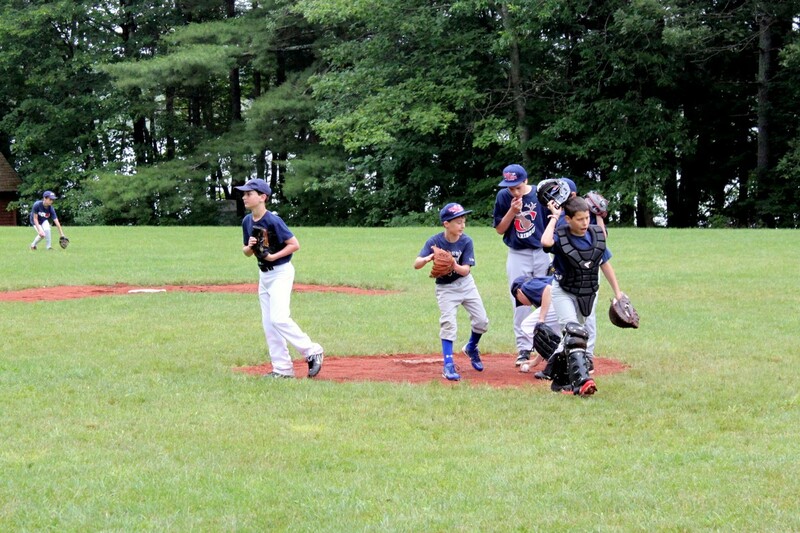 On the brand new little league diamond, Camp Caribou hosted their annual 12U Baseball Invitational today. 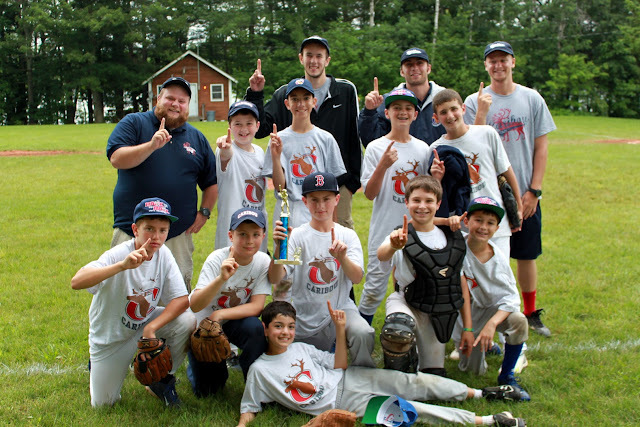 Caribou Grey and Camp Androscoggin both battled to get to the championship game. In that final game, Caribou jumped to a massive start scoring ten runs in the first inning, BOUYAH! 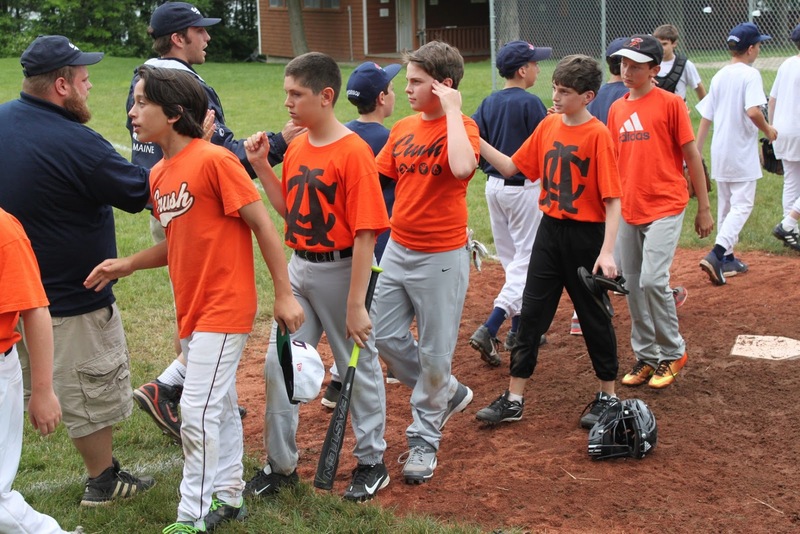 However, Andro was not going away quietly, as they scratched and clawed throughout the 6 inning game. But with timely hitting of Jacob Savitz, the shut down pitching of Will Dubin, and the flawless defense of Nate Sherman, Caribou came out victorious, 10-9!! Congratulations to all the Caribou guys who competed in today’s tournament. They displayed great passion, teamwork, and sportsmanship. The Caribou 12U Baseball team taking home the win! 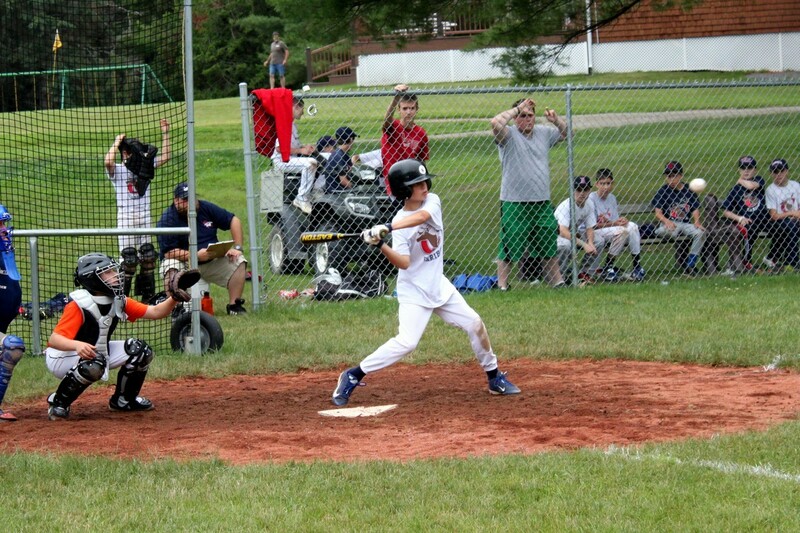 Jacob Savitz getting ready to crush the ball. Caribou Blue team meeting at the mound. 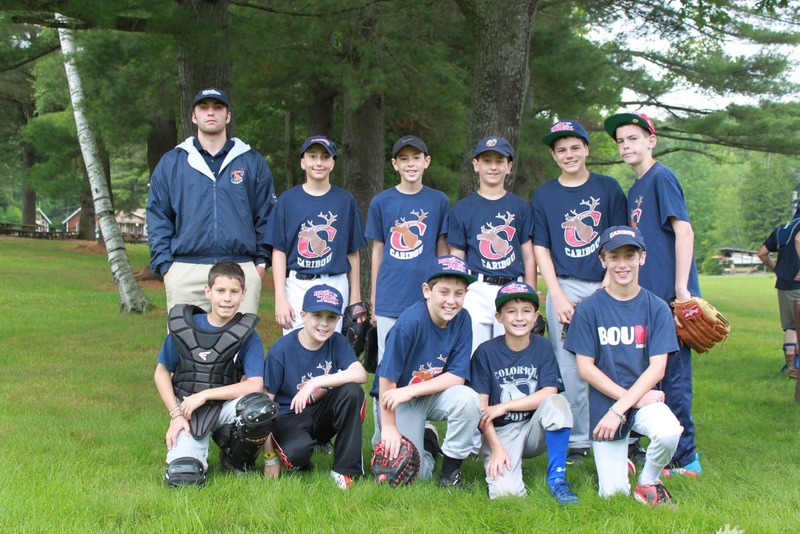 The 12U Caribou Blue team.